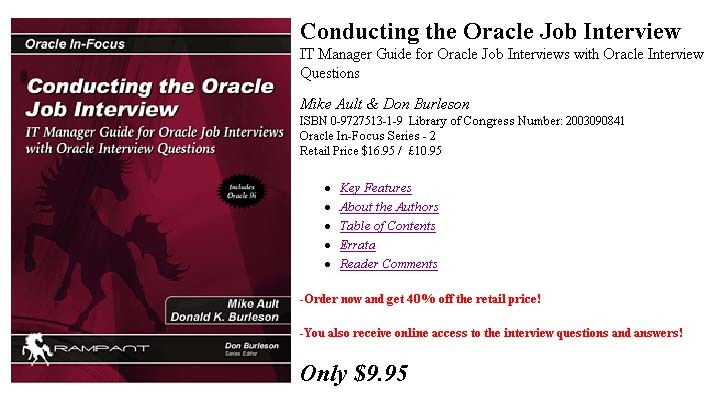 Our expert authors have put together a terrific Oracle SQL job interview book on Oracle SQL job interview techniques and advice. 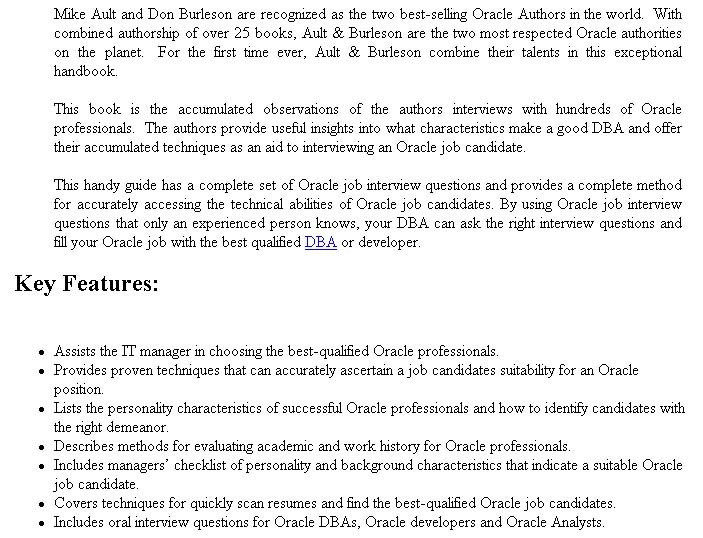 Don't miss out on this Oracle SQL job interview book. Perfect for all your Oracle SQL job interview needs.